To make life easier when making my graphics library for GFXindex I’ve made a port of the TagList-system from Amiga. It’s quite beautiful and it’s here for you, today, tomorrow and next week =). Slide on in to libTagList and have a peek (not POKE! I have my POKE-mon running to catch you :-). 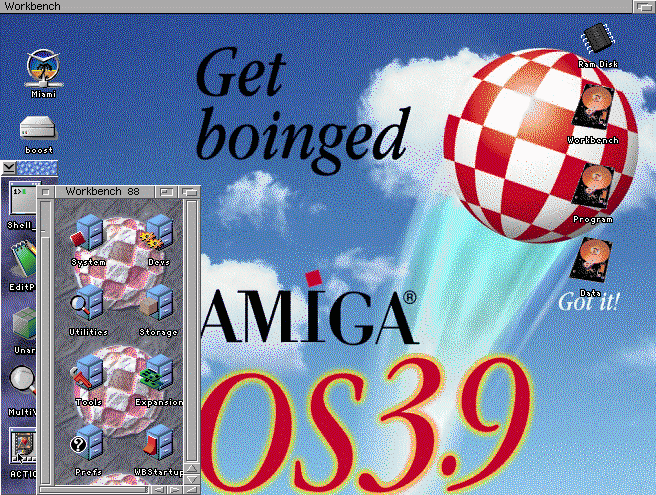 I upgraded my Amiga 1200 to Amiga OS 3.9 today. Put in two 3.1 ROMS and installed it. Looks really nice. Hägar und Partner 😉 have done a really good job with freshening up the now multi-year old OS.